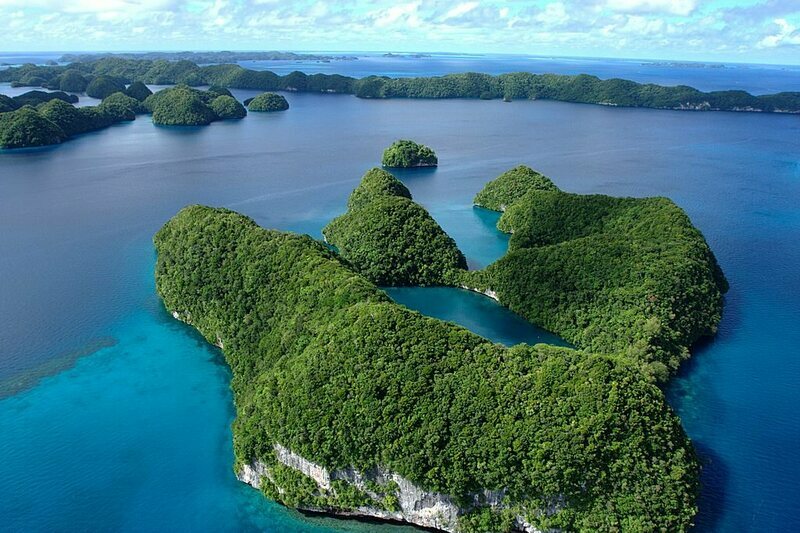 Palau is an archipelago of 250 islands that was first populated some 3,000 years ago, and has remained the home of humans ever since. But last month, that streak hit a road bump. Because of a drought, the nation, its government said, was running out of potable water. The problem accelerated this week when officials said Palau's water reserves may go dry by the end of April, taking the scarcity from emergency to crisis. Home to around 21,000 people, Palau has asked Taiwan and Japan for help, which may come in the form of direct shipments of fresh water. In the meantime, Palauans just have to wait. "There are no words to describe the level of stress, worry and burden of hauling water from one place to another," one resident told Agence France-Presse. "Every morning we struggle to shower, clean up and prepare for the day with the limited amount of water we have." The drought has been exacerbated by El Niño, the irregular warming of ocean temperatures that can lead to extreme weather events. The National Oceanic and Atmospheric Administration says that El Niño is weakening and may be over by fall, but, for Palauans, it's not fast enough.